These programs are taught by faculty of Richmond, The American International University in London. The University is an independent, non-profit international university of liberal arts and professional studies. It is accredited by the Commission on Higher Education of the Middle States Association of Colleges and Schools. In addition to the U.S. degree granting authority, it has U.K. taught degree awarding powers granted by the U.K. Privy Council. It is the first university in the U.K. to have dual degree awarding powers. The Director of the Richmond Florence Program is appointed by Richmond and supervised by the Richmond administration in London. Professors in the Richmond study abroad programs are appointed by the University both from its own faculty and from cooperating institutions. 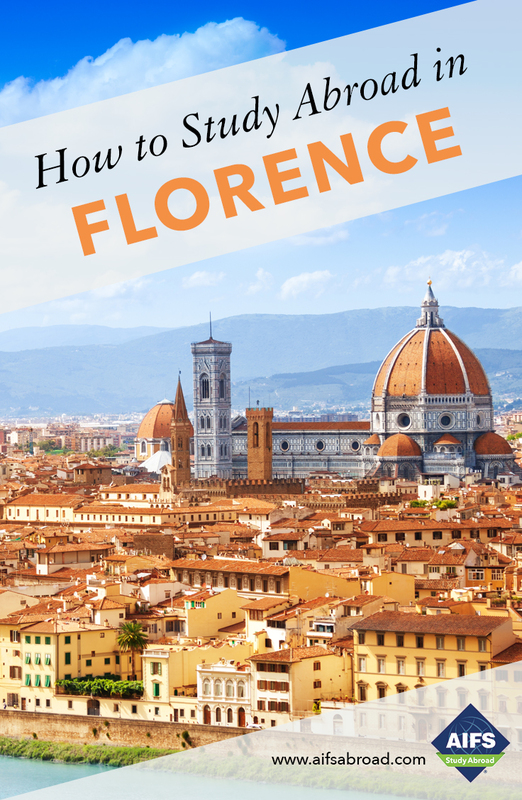 Located in the Palazzo Michelozzi, a 16th century palace between the Arno River and the Pitti Palace, the Richmond Study Center is a few minutes’ walk from the Ponte Vecchio, Piazza della Signoria, the Uffizi Gallery, the Duomo and many of the great Florentine museums. Via Maggio is a street famous for its antique shops in the historic center of town. The Center occupies the ground floor and the piano nobile or first floor above ground level. With its elegant, gracious rooms, the center serves as a convenient, attractive, welcoming environment for students and teachers. Classes in art history, fashion, history, marketing, sociology, photography, drawing, painting and Italian language are given in the Study Center. Students have access to a computer lab with Internet as well as free Wi-Fi if using their own computers during office hours. The Richmond Study Center has a reading room with a selected library containing texts relevant to research paper topics. Students may also use the extensive collections available to them in Florence. The British Institute Library has more than 60,000 volumes—the largest English language library in continental Europe. Its comfortable reading room overlooks the Arno River. The Italian National Library at the Piazza dei Cavalleggeri also has an extensive collection. Internship locations The University is able to arrange internships in a wide range of relevant areas including, fashion companies, artisans’ laboratories, design brands, galleries, museums, hotel chains, restaurants, wineries, tour operators and cooking schools. Attendance is required to receive full credit. Students exceeding the permitted number of absences may fail the course/s. Transcripts are issued by the Richmond Registrar’s office in London. One official copy of the transcript will be mailed to the student’s home college or university on completion of the program. The International Internship Program is designed to provide an integrated learning experience of a high academic standard, combining classroom study and an internship placement for up to 7 semester credits. The Program consists of a 3-credit course and a 7-week unpaid work placement (3 credits), with regular academic analysis of workplace issues. Students on both the optional Rome and Venice excursions can take an Introduction to Italian Art course for an additional 1 credit. The objective of the Internship Program is to provide a learning experience that focuses on the realities of a multicultural and interdependent world. International work experience offers a student the opportunity to test personal interests, abilities and a career field. An international internship also provides a valuable cultural perspective and the opportunity for interns to experience other approaches and viewpoints in the workplace. The Internship coordinator and the Richmond Internship faculty advisor advise and support students throughout the program in individual meetings and seminars. Internships are arranged by the Internship coordinator, after an assessment of his/ her eligibility based on skills, interests and abilities in relation to what the business is seeking. Internships are routinely and formally monitored. All academic aspects of the program are monitored by Deans and faculty advisors. The ideal internship placement is a coordination between the skills and personality that an organization is seeking and those which a student presents. Each student should approach the program with cultural awareness and flexibility; this will enable the internship office to identify suitable organizations at which the student may intern. Placements are made with both small and large organizations, and selection is based on a number of criteria. Please note: Students will have a Skype interview with the Internship Office approximately a month before the beginning of the program and at the same time, they are requested to send an updated résumé to the Internship Coordinator. This will be sent to a number of companies who will make the final decision on the suitability of the student for the placement. AIFS is not able to guarantee that students will be successful at interviewing for a particular placement.